It’s that time of year again! School supplies have all been restocked, the air is getting crisper, and school buses are a regular sight in the neighborhood. School is back in session! With all the hustle bustle going, it can be easy to let the kids’ oral hygiene slide. But it doesn’t have to be complicated! That’s why we’re here to offer you a few tips on how to keep those pearly whites shining. Class is now in session! When it comes to kids’ teeth, cavity prevention is key! 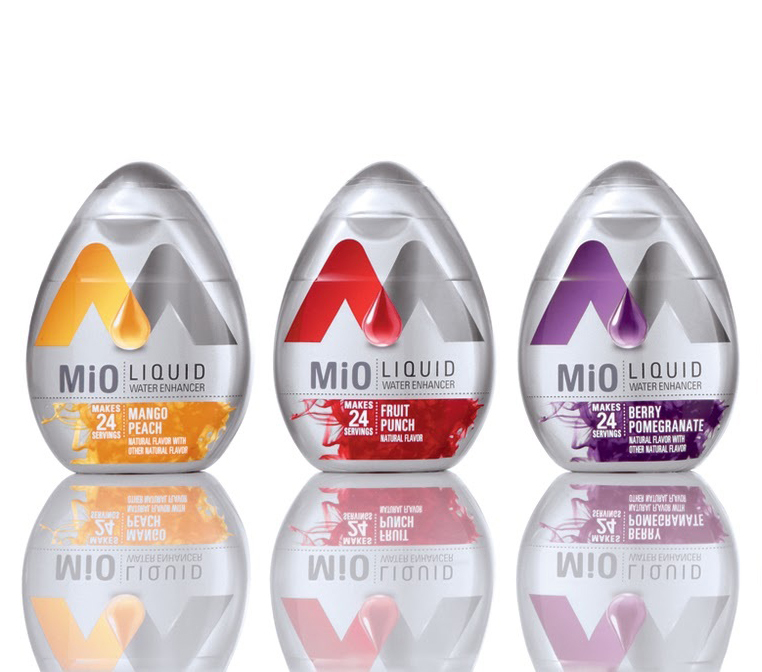 Substitute sugary and acidic drinks with yummy alternatives like Mio Liquid Water Enhancer. Pay attention to the labels and make sure you pass on the caffeinated version! Opt out of candy and sugary gum. Instead, keep your kids occupied with gum sweetened with xylitol. Xylitol is sweet and delicious and it actually helps prevent cavities! Seal those molars! Kids’ first molars come in around 6 years old. They get their second set of molars around age 12. It’s important to get those molars sealed early on to prevent tooth decay. Getting them sealed is easy and painless and will save you money and time in the long run. Looking for a healthy snack? Say Cheese! Believe it or not, cheese has been found to be a very effective cavity-preventing food. It increases calcium levels in the saliva of the mouth, therefore working to remineralize the teeth and prevent decay. Keep a bag of straws on you at all times. It happens to the best of us. You’re at a party, you’re traveling, or you’re somewhere hot with a thirsty child and they’re giving you that pleading look that says “everyone else is doing it!” They want the soda and you fold. 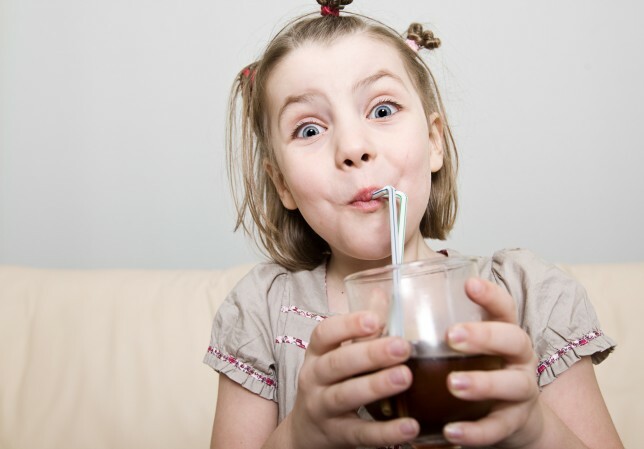 Although we don’t ever recommend sugary drinks, if you find yourself in a pinch, having straws on you is a great way to minimize the damage to your children’s teeth. By drinking through straws, the liquid is able to mostly avert the teeth. This isn’t a foolproof solution and it doesn’t entirely protect the teeth, but it does minimize the damage when avoiding it isn’t an option. Find a dentist you trust. The most important thing you can do for your children’s oral health is to find a dentist you trust. There is no doubt that you will have many questions throughout the process of maintaining a healthy smile for your children. Finding the dentist who understands your concerns, takes the time to educate you and your children, and most of all, makes going to the dentist FUN is what will make the difference for your kids’ health! Earlier in her career, Dr. Nikki Christian spent several years as a pediatric dentist. With this experience, as well with being a mother herself, she understands the importance of a gentle and compassionate touch when it comes to caring for our smallest patients. Most of our staff here have families of our own and we find joy in caring for entire families here at our practice. If you have a child who is experiencing anxiety related to their visit, we have nitrous oxide, a safe and effective sedative that allows for your child to relax during the appointment. Nitrous oxide is 100% safe and effective for calming your child’s fears at the dentist. Your child will remain awake and calm during the treatment and will be able to communicate with the staff. It also has the added benefit of reducing the gag reflex, which can sometimes interfere with treatment. We hope you’ve found these tips to be helpful! If you’re considering having your children’s molars sealed, or if their mouths are in need of a cleaning, give us a call and set an appointment!